The judge in Aaron Hernandez's murder trial kicked out a juror today, citing evidence that she had lied on her questionnaire and had previously expressed an interest in getting on this jury. Judge E. Susan Garsh said after the hearing that there was evidence the woman had made statements more than a year about wanting to get on the jury. 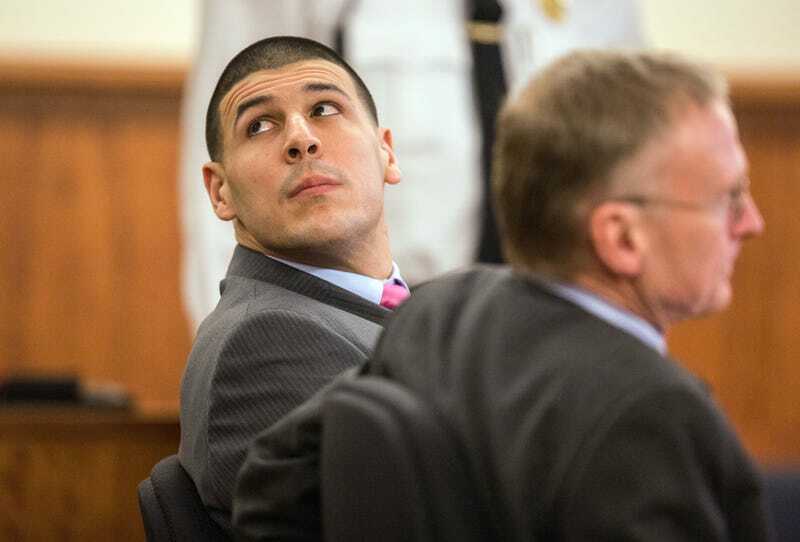 She had discussed evidence in the case, Garsh said, including saying that she didn't think Hernandez could be convicted because authorities have not found the gun used to kill Odin Lloyd. On the prospective juror questionnaire, the woman had lied about how many Patriots games she attended. The juror, described as a middle-aged white woman, had also reportedly been aware of and discussed evidence that was ruled inadmissible in the case.